Reproductive behaviour is a ‘normal’ part of avian life in the wild. 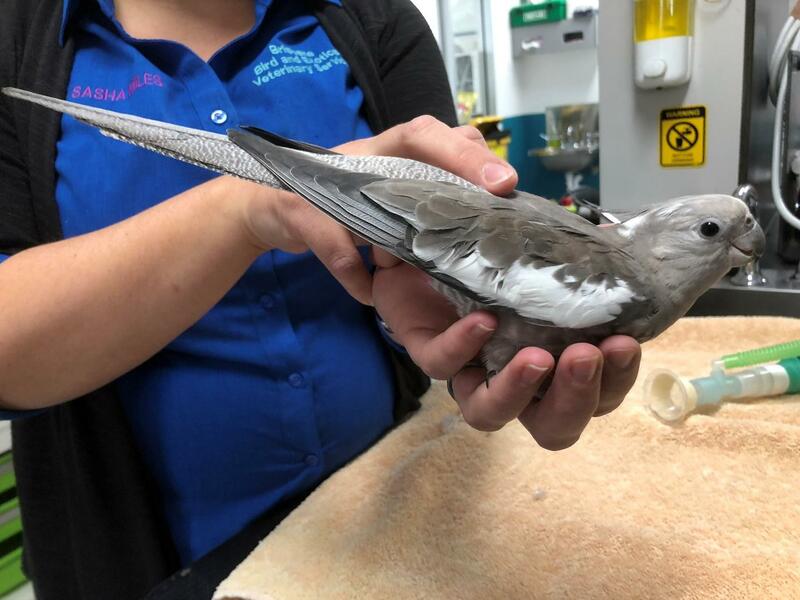 In captivity however, reproductive behaviour can be undesirable as it can lead to diseases such as overlaying, egg binding, prolapse, egg peritonitis. It can also lead to problems with the pet-owner bond. Unfortunately owners often inadvertently reinforce the reproductive behaviours their pets are showing. 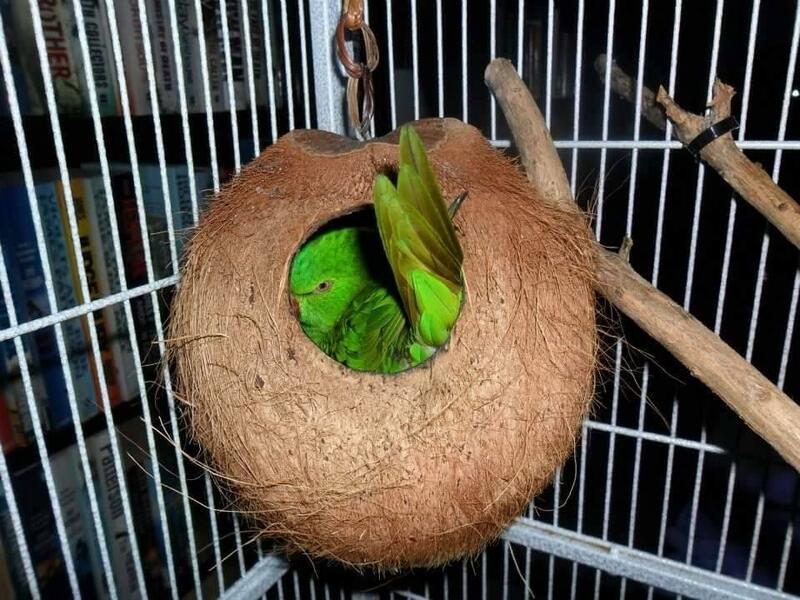 Common reproductive behaviours that pet birds can show include masturbatory behaviour towards toys or people, nest building (eg shredding paper), nesting in dark areas, laying eggs and territorial aggression. Sometimes by making some small changes at home we can reduce the chances of reproductive activity and disease. 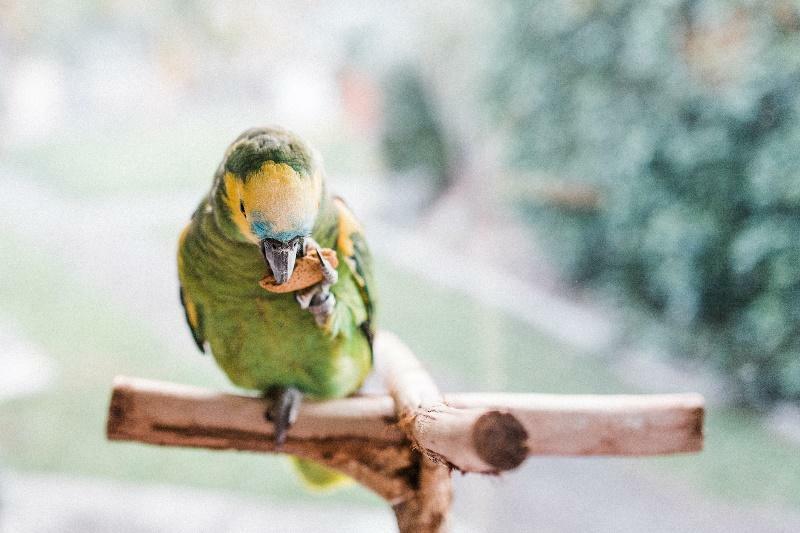 When birds are in ‘reproductive’ mode, often they are more prone to infections and other diseases, if you are concerned feel free to call and book an appointment today. A high fat diet can be one way to accidentally encourage your bird to breed! Birds are designed to breed when the conditions are right, so that their babies will have lots of food. This naturally occurs in springtime, when food is usually very abundant! If our birds have high levels of fat in their diet (e.g. sunflower seeds, other seed mixes, nuts and treats) this will tell their body it is a good time to make babies. Also, remember that female birds don’t need a boy bird to lay eggs – they can do this all on their own! A balanced diet is very important for your bird’s general well-being, and we recommend that most birds have a significant portion of their diet as pellets (these are balanced to ensure that fat levels are not too high) – feel free to come in for a visit to discuss your bird’s dietary needs. Lengthening days is another stimulator for reproduction. In spring the days become progressively longer and this influences hormone production in the brain. 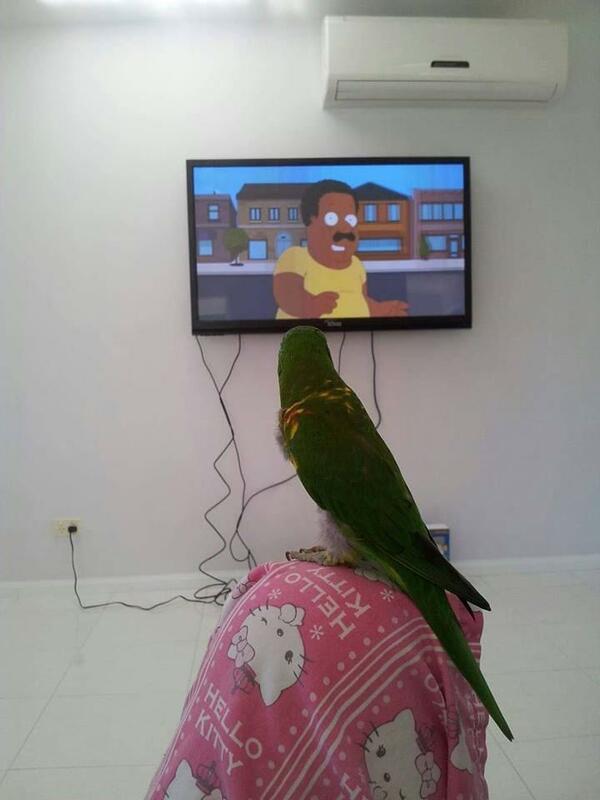 We can sometimes accidentally encourage this if we let our birds stay up late with us, like this lorikeet watching TV with her owner. Ideally birds should have 12 hours of light and 12 hours of dark each day. Simply covering your bird with a towel will not be enough for it to think it is night time. They need to be kept in a completely darkened room. Dark, quiet areas (e.g. sleeping bags, nesting boxes, down people’s shirts) can be perceived by birds as nesting sites. Reducing access to these areas can assist in reducing reproductive drive (it is also very important to note that ‘Happy huts’ and other fibre sleeping bags pose a significant risk of fibre ingestion and possible gut obstruction – we do not recommend these for birds). Paper and other materials can also be perceived by birds as ‘nesting’ materials, especially as birds love to shred them! Reducing access to these types of materials in a ‘nesty’ bird may help reduce their stimulus. Did you know that by cuddling your bird you may be encouraging them to be reproductive?! In wild birds, only their mates would preen/groom over most of their body. Sometimes other flock mates would groom their head, but any petting below the neck (e.g. down their back, under their wings) would only be done by their chosen mate. If you pet your bird in these areas you are likely encouraging a pair bond and may be giving your bird the wrong idea! If your bird thinks they have a mate (even a human one) this will encourage reproduction. This is particularly important for hand reared birds, who are often raised inappropriately to believe they are humans.